Posted on July 30, 2013 by Susan H.
An extra benefit to having an ice cream maker…the opportunity to make your own slushies! The boys were super excited when they learned the news…even more excited when we actually put the plan in action. Simply choose your preferred beverage…follow the directions on your ice cream maker…and before you know it…you have a container filled with an icy cool drink to satisfy a crew of thirsty busy boys. I chose freshly squeezed lemonade that is made right in the store…just water, sugar and freshly squeezed lemon juice. 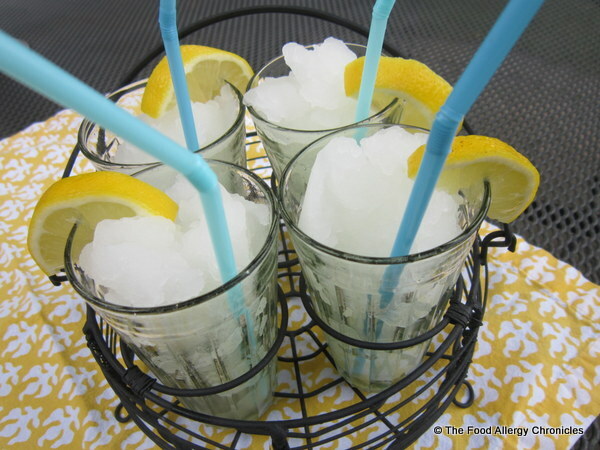 Lemonade Slushies…the boys loved them! With an added slice of lemon and a straw…Lemonade Slushies are the perfect afternoon drink on a hot summer day! My nephew, Lukas, could not wait to get his hands on one! 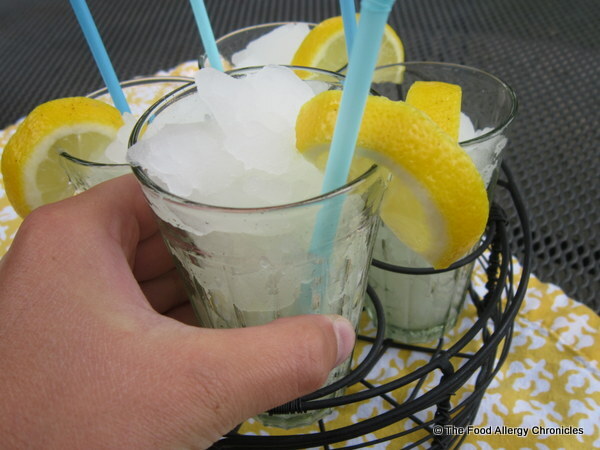 This entry was posted in allergies, multiple food allergies and tagged Lemonade Slushies, Lemonade Slushies in my ice cream maker by Susan H.. Bookmark the permalink. I think I need to get me an ice cream maker! What other ingredients did you use? I’d love to make this myself.